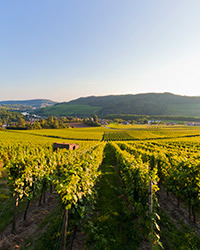 Here, a guide to the world's best Riesling wine regions from Germany to California, plus the wineries, bottles and winemakers you need to know. The fruit for the Müller family's best Rieslings comes from the Mosel's prized, slate-soiled Scharzhofberg vineyard. Johannes Selbach's stellar wines range from the easy-to-find Fish Label to the elusive Selbach-Oster eiswein. Formerly the vineyard manager for Riesling expert Johannes Leitz, Eva Fricke is making a name for herself with fiercely dry wines. A sommelier favorite, Emmerich Knoll is a legend in the Wachau for rich wines that can age seemingly forever. Michael Moosbrugger is preserving the low-tech winemaking practices of this 12th-century monastery. Peter Veyder-Malberg's spicy, dry Rieslings come from extraordinarily steep, rocky, terraced vineyards in the Wachau. 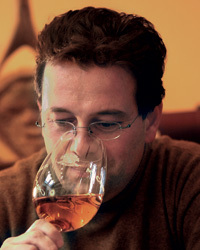 Olivier Humbrecht, a champion of biodynamics, focuses on grand cru and single-vineyard wines. The 13th generation of the Trimbach family continues the tradition of value at every price, down to its basic Riesling ($25). Sommelier Daniel Johnnes imports this biodynamic producer's supremely austere and focused wines. Its Polish Hill Riesling is one of Australia's most sought-after wines for its mineral intensity and concentrated fragrance. Winemaker Peter Gago's Rieslings—the limey, mouth-filling Bin 51 ($40) and Thomas Hyland ($14)—rival his popular Shiraz. Its comic-book label and name ("Monsters, Monsters, Attack!") belie the Riesling's serious deliciousness. Armin Diel brings the experience of nine generations of winemakers from Germany's Schlossgut Diel to this project. Washington's largest producer has access to terrific fruit from across the state, which shows in its wines. 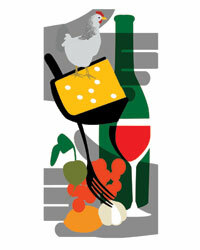 Its juicy, tangerine-scented Riesling, sourced from the cool- climate Evergreen Vineyard, may well be Efeste's best wine. Wiemer produces some of the best Riesling in the US, using German clones grafted onto American rootstock. The Frank family has been growing grapes in the Finger Lakes for three generations—an amazing legacy in the US. Husband-and-wife team Tom and Susan Higgins produce tiny amounts of exceptional Riesling and Pinot Noir. Brothers Charles and Stuart Smith have been making beautiful Riesling from a six-acre plot in Napa Valley for 40 years. The cool, long season in Mendocino lets grapes ripen slowly and evenly, resulting in wonderful notes of spice and ripe fruit. A protégé of Austria's Emmerich Knoll, Graham Tatomer emulates Knoll's intense style in his own Santa Barbara Rieslings.